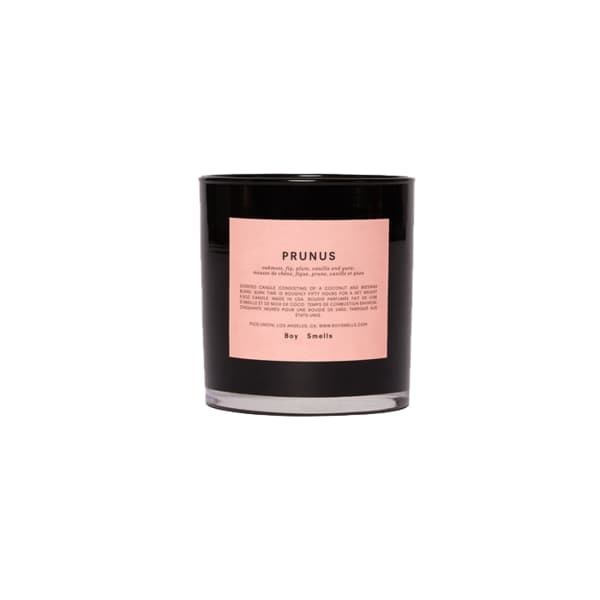 The prunus candle by Boy Smells. With oriental notes of yuzu and asian plum play dominant roles to create a fruit forward scent. Grounded in earthy oakmoss, it remains feminine and lush. Scent: oakmoss, fig, plum, vanilla.